It’s summer camp. And hot. Who doesn’t want to be in the pool? So of course swimming instruction is a high priority for us. 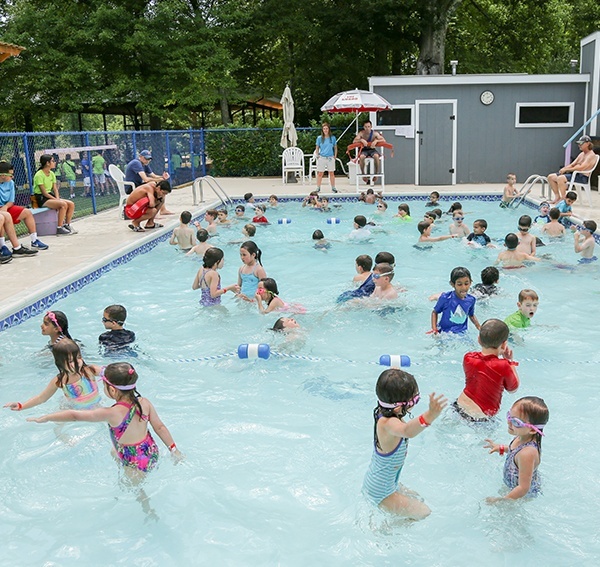 We have designed our three pools to ensure all our campers feel safe and happy in the water — whether they’re just learning to swim, honing their strokes, or simply cooling off and having fun. Gently graded from 2ft to 3ft, our shallow pool is kept at a balmy 81°. It’s perfect for non-swimmers who know their feet can always touch the bottom, yet deep enough to learn beginner swimming skills. 3ft deep at the shallow end and 5ft at the deep end, this pool is also kept at 81°. It’s just the right environment for learning intermediate swimming skills. Because the water depth can be over their heads, campers must demonstrate adequate swim skills to be in this pool. Safety first — always. 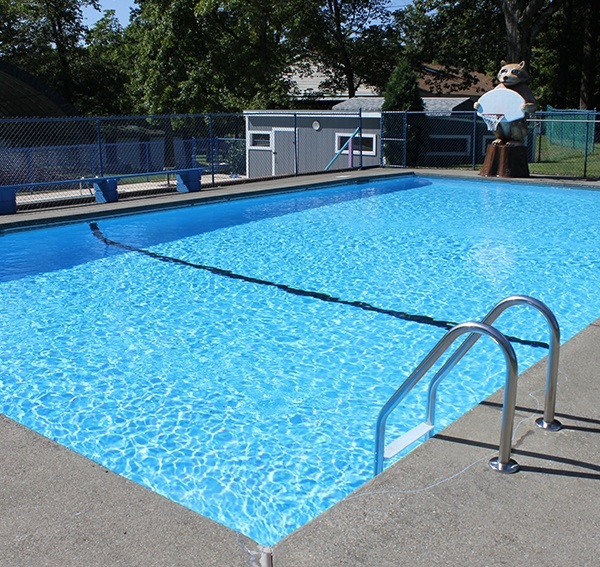 Our largest pool goes from 3ft 5in to 10ft deep, and has a diving board and slide in the deep section. Wheeee! 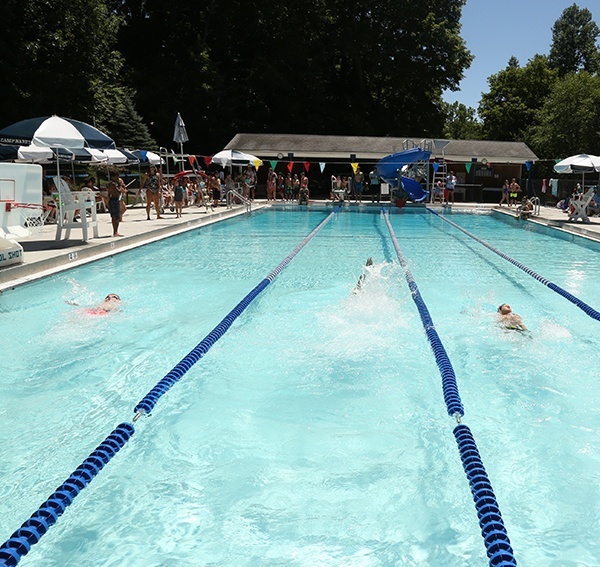 The shallow section (3ft 5in to 5 ft) is 50ft long, which can accommodate a whole lot of kids, and is great for instructional swims across the 35 ft. width of the pool. Swimmers must be able to swim the pool’s entire 90ft length to use the deepest section, the slide and the diving board. Then there’s no stopping’em!